Happy [Early] Valentine's Day to all you beautiful Glamour Girls <3 Love is in the air and there's no reason not to be ooey-gooey and sappy today because tomorrow is the unofficial official day of L-O-V-E. 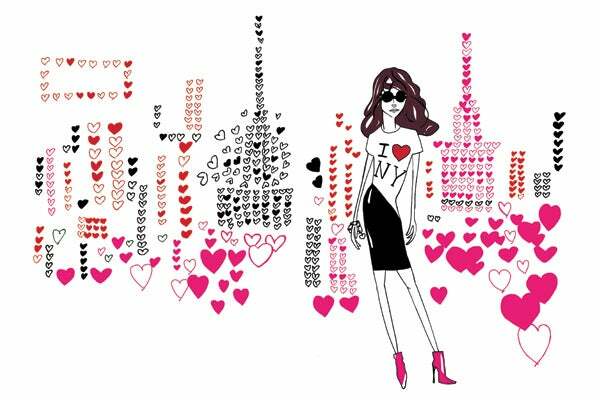 The picture above is from the great Diane von Furstenberg's children's book that I can't wait to get very very soon (hopefully!). Though the book has absolutely nothing to do with Valentine's Day whatsoever this picture is waayy to pretty and pink not to share. I hope everyone enjoys tomorrow with whomever they choose to spend it with. And for those of you riding solo tomorrow night, head to Redbox, get yourself a copy of the Valentine's Day movie dvd, pop some popcorn (or if you're like me, go to the movie theatre just to buy real "movie theatre" popcorn which is so much better than anything I could make at home) and station yourself on your couch to bask in the glory of Ashton Kutcher's love problems.